Going to the chiropractor is a new experience for many of us, and we want you to feel completely at home while you’re in our office. We want you to trust that we understand your concerns, while extending hope that we can be of great service in providing your care. We’ll answer all your questions before beginning care. You’ll be greeted by one of our warm staff members upon arrival, who will ask you to fill out any necessary paperwork. We invite you to fill out your paperwork online to save you time in our office. A differential diagnosis: We tell you what we think is the source of your problem before getting proven confirmation through evaluation studies. Possible X-rays: If appropriate, we’ll refer you to an imaging center for X-ray studies, which will be analyzed by a medical radiologist. It will usually take a few days to receive the results. Your first visit will take between 20 and 30 minutes, and we ask that you wear evaluation-appropriate attire, as we do not gown our patients. As with any doctors visit, we also ask you to bring your Saskatchewan health card. During your second visit to our office, we will present you with your customized report of findings, which includes the results of your testing. We will advise you as to how many visits will be necessary to overcome your health challenge and the frequency of those visits, as well as offering home care instructions. We want you to have all the facts so that you can make the best decision for you and your family. You’ll then be able to receive your first chiropractic adjustment! This second visit will take about 10 minutes. Once we have all the facts regarding your health issue, subsequent adjustment visits should only take between five to 10 minutes. 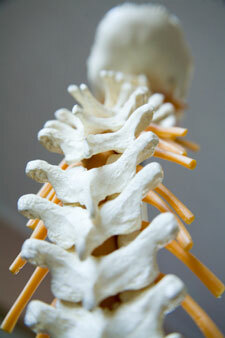 In our office, we offer different options of chiropractic care. You get to decide what path you want to take with your health. Phase 1 – Relief Care: The first phase of care is Relief Care. Our goal here is to get the problem under control and get you out of pain. Phase 2 – Stabilization: In this stage, we correct the problem so it doesn’t keep coming back. We do this by stabilizing the spine using adjustments, stretching, exercise and our multidisciplinary team. Phase 3 – Wellness Care: In this phase people get adjusted on a monthly basis to maintain their spine and nervous system in great working order. People in Phase 3 do this in the absence of pain, which is the essence of wellness. We’re very results-oriented, so our primary goal in the beginning is to resolve your problem and get you out of pain. The second phase is to make you aware of the value of chiropractic when you use it on a consistent basis. This phase gives you the opportunity to choose wellness and is accomplished through periodic adjustment. Our patients love our warm and welcoming office! Contact us today to experience confidence in our thorough evaluations!